Discussion in 'General Discussion' started by EndersGame, Dec 18, 2018. So you've got yourself a nice deck of cards. Maybe it's a basic Bicycle rider-back deck, or it's a heavily customized limited edition produced by a popular designer, and you had to dig deep into your pockets to get it. Either way, you want to enjoy it, and you want to look after it to ensure that it lasts as long as possible. So how should you look after your deck? First of all, it's important to realize that it's not an inherently bad thing to have a deck that shows signs of wear, because that usually means you are enjoying your deck and using it! But obviously you don't want to accelerate this process of wear any more than necessary. So is there anything you can do to preserve your deck, and make it last as long as possible? As it turns out, there most certainly is, and you can start by considering the suggestions made in this article. Here are two dozen tips about how to care for a deck of playing cards, gleaned from the world of hard knocks, worn out decks, and experience. No rubber bands, please! We've all seen it: a deck of playing cards, secured tightly with a rubber band. Don't do it. Why not? Well first of all, over time that rubber band is going to become brittle and break. Worse, when you add some heat it's going to melt, and you'll have bits of rubber actually stuck to your cards. Yuck! Furthermore, there's a real risk that the rubber band will damage the cards at the top and bottom of the deck, because it puts pressure at those points. A rubber band does help keep your deck together, but it offers zero protection for the cards themselves - and we can do better than that! No pants pocket, please! Sure, it's nice and warm in there, and it seems to be a safe spot to put your cards. And sometimes you'll have no option but to put a deck inside your pocket. But think about it: a deck that's pressed tightly against your body is going to warm up. It may feel romantic, but when romance is in the air, things can start getting sweaty and hot, and that's a sure-fire way to make your deck start warping. Pants pockets also tend to put pressure on the deck when you walk around or even when you sit, and this can quickly cause damage to the tuck box, or cause the whole deck to bend. If you do need to carry your deck inside an item of clothing, try putting it in a jacket pocket instead. And if you really have to resort to using a pants pocket, try putting your deck inside a card clip or some other deck case or protector first. Use the tuck box. There's a reason why playing cards usually come in a tuck box. 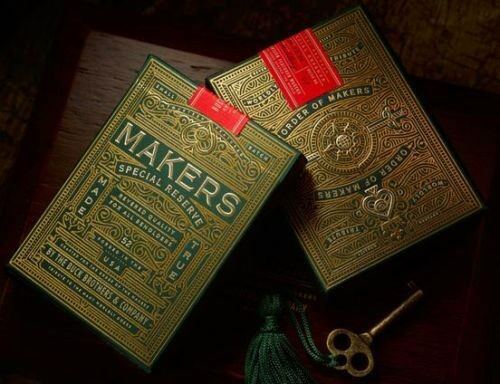 Tuck boxes are certainly important for marketing and branding, and especially in the case of more classy decks that feature embossing and foil accents on the tuck box, they make an immediate statement of style. But they also serve a very important and practical function in protecting your cards. If you leave your cards out in the open, they are vulnerable to moisture, and will also attract dust - and perhaps even some spider-webs or other nasties that really don't belong in your deck! So use the tuck box, and look after it! You can always patch it up with duct tape if you really need to! Remember that your tuck box is your first line of defence against playing card enemies like dust, dirt, and even against sunlight and moisture. Store your decks flat. You'll find that opinions on this subject do vary. But it can make a difference whether or not a deck of cards is stored in an upright position or flat. When stored flat, gravity is on your side, pressing the cards flat against each other in a natural way. When stored upright or at an angle, there is a greater possibility that your playing cards will warp over time. Whether or not this is an issue for you can depend a lot on your environmental conditions, like the temperature and humidity of the place where your cards are being stored, but you can help combat those other playing card enemies by storing your deck in a flat position. Avoid humidity. Sometimes you really can't do anything about the environmental conditions where your deck is stored. But humidity is particularly known to have quite an impact on a deck of playing cards, so if there are ways to store your deck in a cool and dry place, away from sunlight and humidity, and with a relatively stable temperature, definitely that's the preferred option. Wait a moment, does that sound like your fridge?! I have heard of people who swear that putting a deck in a fridge overnight is the best way to improve the condition of a warped deck, and that it's also an unorthodox fix for cards that have that undesirable "click". I haven't tried the fridge treatment myself, because there can be a lot of moisture lurking there too, so it sounds like a bad idea to me, and I can't speak from experience. But if you're really desperate, have exhausted all other options, and are willing to experiment with a particularly rebellious deck, you may want to give that a shot as a last resort! But generally speaking, try to avoid storing your deck in a high moisture area that encourages your cards to curl and warp. Fluctuating humidity is even worse, because cards will expand and shrink, and quickly become damaged. A cool, dry, well-ventilated area is always the best. If you live in a climate with high humidity you might want to put your decks in the same room as your household humidifier if you have one. Avoid sunlight. Sunlight has a tendency to bleach, and if something is left in direct sunlight for extended periods of time, it will inevitably get damaged. You can't buy sunscreen for cards, but you can keep them away from the sun, by ensuring your cards are stored safely in the tuck case when they're not being used. This also applies when your playing cards are inside the tuck case - don't leave it on the ledge of your bedroom window or on the dashboard of your car, where the tuck case is going to sit for hours in the full sun. Avoid heat. Direct sunlight also invites another enemy of playing cards: heat. And of course there are other sources of heat besides the sun, and adding heat is another sure-fire way to damage your playing cards. This isn't rocket science, obviously, but I wouldn't want to be standing underneath the burning flames of rocket engines, would you? Similarly, it's hardly ideal for your playing cards to be exposed to significant amounts of heat. Heat can accelerate chemical reactions, and changes in temperature will cause things to expand and contract. Inevitably, this will lead to problems like warping, which you really want to avoid. The solution is simple: if you can, try to keep your cards at a constant temperature, and don't store your deck right beside your fire place or on the window-sill. Wash your hands. Now it's time to open your deck and use it. Go wash your hands please! Yes, really - just like your mother taught you! She probably didn't have playing cards in mind, but was more concerned about your hygiene. But the reality is that one of the biggest enemies of playing cards is all that dirt and grime that quickly attaches itself to our skin in the course of normal life. When you handle a deck of playing cards, this filth has a habit of unattaching itself, and along with the oils from your skin, finding a new home on your playing cards. Before you know it, those crisp and clean white edges start to look yellowed, or have flecks of grime mysteriously appearing on them. So before doing an intense session of cardistry or practicing your card magic, take a moment to wash your hands carefully. Dry your hands. You know that guy that you always see leaving the bathroom, shaking his hands dry? Make sure that's not you, and don't be that guy! Your hands can easily become sweaty and clammy at the best of times, and while a good wash of your hands before using your cards is always a good idea, it's equally important to dry your hands. Because playing cards are made out of paper, they love moisture - but for all the wrong reasons! Your cards will inevitably find a way to transfer that sweat or soapy water onto your deck, which is bad news for their longevity. They won't suddenly swell up or immediately look like they have been damaged, but the over time this will cause damage to your cards, and affect their performance, particularly the consistency of the handling. Handle with care. Maybe this goes without saying, but it's possible to be rough with your cards. We've probably all seen people shuffle cards so crudely that we visibly grimace! If your hands are tense, and you grip the cards too tightly, or bend them excessively while shuffling, you can cause unnecessary damage. Of course it's equally possible (and perhaps even likely!) that you know how to handle cards carefully, but your friends or family don't! As a result, if you give them your beloved deck to shuffle, they might be very rough with your cards, and that could simply be because they have never learned the proper techniques for shuffling or handling a deck. Be gracious, of course - but you might want to offer to be the designated shuffler or dealer for the card game. Spring the cards. Not only is springing cards an impressive visual flourish, but it can also play a very practical purpose of actually helping your cards stay in shape. A card that is being used positively is a happy card. Cards that just sit there and are never used can run the risk of being warped, just like being laid up in bed for weeks will make you stiff and out of shape. In contrast, a good workout with the help of a spring or shuffle can assist in making the playing cards keep shape, by clearing out all the cobwebs or dust (literally! ), air them out, and give them some valuable restorative exercise. Be bi-directional. If you do springs and riffle shuffles, make sure that you don't just do them the same way all the time, e.g. only face up or only face down. Spring and shuffle them in both directions from time to time, otherwise the cards will always be under pressure to bend the same way. This constant pressure from the same direction will affect the fibres of the cards, and can cause them to be permanently bowed in the long run. Don't drop them! This may sound obvious, but dropping your cards is asking for trouble. The first casualty of a dropped deck will usually be the corners of the cards, which risk becoming bent in the process. If you want to fast-track your deck to becoming one of those dog-eared items, throwing your cards around is definitely going to speed up that process. Furthermore, any time your cards spend on the floor means that they're likely to come into contact with dirt that has been tracked in on the carpet, linoleum, concrete, or grass, or wherever you happen to be using your deck of cards. Getting sand in between your cards is especially something to avoid, because this will cause extra friction in the wrong places, and will speed up the wearing process when you shuffle the cards. Practice above carpet. If you are a cardist attempting a range of new moves of fancy aerial moves, you don't want to be doing this above a filthy ground or a hard wooden floor or concrete. You are going to drop cards. Yes, I know that this conflicts with a previous suggestion where I said that you shouldn't drop the cards. But dropping cards occasionally is part of the cost of progression in cardistry or magic. Every good cardist will drop cards in the course of learning and attempting new and challenging moves. If you never drop cards, then you obviously aren't challenging yourself or pushing yourself to new heights. And if you know that you are going to drop cards, then it makes sense to have them fall on a surface that is going to be as friendly to them as possible. A clean and soft carpet is best. A hard and dirty wooden floor, or a muddy puddle outdoors most definitely isn't! Do nothing. There's an old saying that "time is a great healer", and it can apply to playing cards as well. Of course, if your two year old nephew has chewed off the corner of your favourite Ace of Spades, no amount of time is going to make that corner grow back - not even your best Torn and Restored magic routine! But sometimes when a deck of playing cards is starting to feel clumpy or spread unevenly, it just needs a break. Just like a car can overheat, sometimes a deck that has been handled for a long period of time simply needs a breather. So put it back in the box, and maybe in a card clip if you have one, store it in a cool and dry place, and give it a chance to dry out and get back to normal. You may find that in an hour, a day, or a week, the cards handle better again. Just like a holiday can do a stressed person a world of good, an over-worked deck can benefit from having an occasional break, so give it an well-deserved and therapeutic rest from time to time! Use a deck protector. Don't have your deck rattling around in the glove-box of your car or in your pocket without any form of protection. That's not what you'd do with your pet gerbil either is it? No, you'd give him a nice carrying case, or put him inside some kind of container. Well as it turns out, you can get protective containers for playing cards as well. One option is a card clip, but it is important to realize that this tends only to protect a couple of sides of the deck, leaving the other sides unprotected. We'll cover the benefits of a card clip later - they are best used for a different function. A plastic carrying case is probably a better option to use for transporting a deck, and there are products available like the clear plastic playing card storage boxes here that work well. Whatever you do, don't just let those tuck boxes fly around loosely while you are travelling, because they are sure to get dinged and dented, potentially damaging the cards in the process. Use a card clip. So you've given your cards a good workout, and you've noticed that they have a slight bend or are warping? A card clip is utility item, often made of stainless steel metal or alloy, that fits around your tuck box to help with this. Once again, opinions can vary on the benefits and advantages of a card clip, and whether they really make any difference. These are typically claimed to increase the longevity of your playing cards, by providing extra protection and thus ensuring greater durability. A quality card clip typically doesn't come cheap, but the quality is usually evident immediately. They should have a strong natural spring that ensures that your deck is wedged firmly between two pressure points. 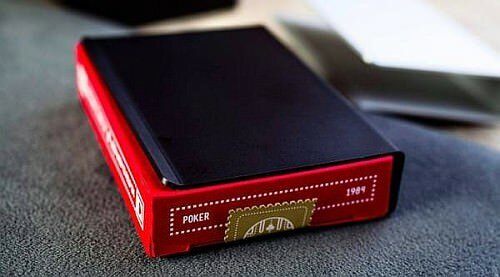 In practice, because playing cards can have different thicknesses depending on the stock used, you may need to take some cards out in order to fit a deck inside a card clip - there's even potential for the tuck box to be damaged if you find yourself trying to squash the deck inside. As far as protection goes, card clips typically only protect a deck from a couple of sides. They certainly offer some protection for a deck that's in your pocket, but don't expect them to be bullet proof, because your tuck box will still get banged around and somewhat damaged. In my experience, a card clip is particularly useful for straightening out a deck that has become warped. You could try the more primitive method of placing a deck under a heavy book or table, but placing a deck in a good card clip overnight can work wonders. Besides that, card clips are great accessories, and can make their own statement of style and class. Use a play mat. I may be starting to sound like an over-protective mother here, but a play mat can really make a difference to the health of your playing cards. Of course a good plain-coloured table cloth might do the trick, but there are better options. Whenever we play card games in my family, we use a very large table sized neoprene mat that we purchased specifically for this purpose. Not only does this protect the table, but more importantly it protects the cards. It makes them stay in position nicely on the table, and it also makes them very easy to pick up. Many of our visitors who have played card games or enjoyed card magic at our dining table have been super impressed with this neoprene mat and wanted to get their own! Magicians have been using close-up mats for card magic for a long time, and the principle is the same. There's good reason why poker tables at casinos are typically made of a felt-like material. Even a table cloth is a better option than playing on a hard wooden table, because invariably cards can be hard to pick up on a hard wooden surface, and have a much higher risk of being damaged that way. You can even purchase a roll of thick felt from a fabric shop, which will do the trick too. Use fanning powder. All good quality playing cards are given a coating at the end of the production process, and what that does is helps cards fan and spread evenly, and promotes their longevity. Depending on the publisher or creator, this coating can be called things like Magic Finish or Performance Coating. But over time this coating will wear, and as a result the cards will no longer slide over each other as smoothly, and the deck will start to become "clumpy". One solution to this is to use fanning powder or talcum powder, which can help minimize the extent to which the cards stick together, and restore some of the smoothness to your fans and spreads. For black cards you can't use white powder, because it will leave a noticeable white residue behind, but it's definitely an option for non-black cards. Fanning powder is probably much less necessary today than it was in the previous centuries, given the advances of technology and the improved quality of cards today, particularly the coating used. So you'll likely only need to give this a shot with a cheaper deck of cards, or with one that is very worn. Get quality decks. When you buy, choose your decks carefully. The writing is on the wall for some decks before you even use them, and a shorter life expectancy for them is almost guaranteed before you use them! This is almost always true of a cheap papery deck from your corner store. In contrast to a quality deck of Bicycle playing cards from USPCC, such a deck is doomed to wear out quickly. So it is worth the time to research the publisher of your deck before making a purchase. Anything produced by USPCC or by other industry leaders like LPCC/EPCC is likely to be a longer lasting deck. 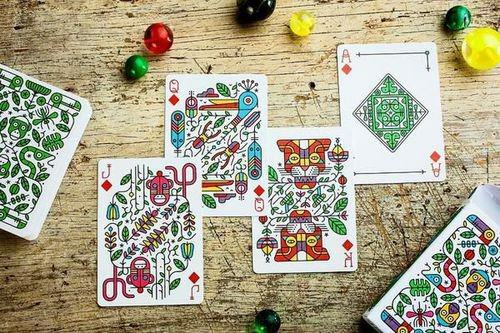 It will still wear out in the end, but you will get more mileage out of it due to the quality of the playing cards and the technology used in the production process. Avoid black decks. This is a bit of sneaky tip, because playing cards with black bordered backs or faces actually don't wear out any quicker than playing cards with white borders or faces. I have read that the black ink can pick up dust and absorb moisture more quickly than white cards, but I'm not aware of scientific evidence that backs that up. But what I do know is that the signs of wear will be much more noticeable with black cards. Why? Like most playing cards, cards with black borders/faces are made of paper, and as the cards are used with any kind of frequency, the edges tend to chip and show signs of wear, because these are the parts of the cards that are handled the most and have the most contact. Unfortunately, that means that with black cards the white underneath will naturally show up more quickly. White bordered cards wear in the same way, of course, but since the wear usually shows up as white, it is far less obvious. There are techniques you can use to breathe new life into a deck with black cards, and a simple fix can be to use a black permanent marker on the edge of the cards. You'll find other tips for extending the life of decks with black cards in the Black Deck Book from Ellusionist, which you'll find here. But if you are going to choose a deck with black borders, just realize that it won't look pristine for as long as a deck with white borders. Save your custom decks. One thing you might want to consider is reserving your higher end custom decks with fancy artwork for special occasions. 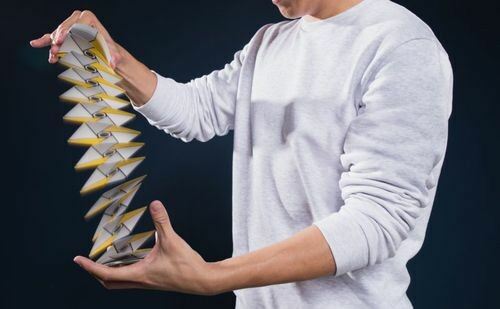 If you are practicing some new cardistry moves, or trying to learn some new card sleights that you know are going to be hard on your cards, then it's probably not the best idea to use your prettiest deck. You may want to have a ready supply of cheaper USPCC produced decks for "training" purposes. These decks still offer quality handling and performance, but don't cost as much money. Sure, they won't win a Miss America contest for playing cards any time soon, but if you are going to wear out a deck through some rough handling during practice, it might as well be a budget deck like this. Save your custom decks for that special performance, that special games night, or when you want to treat yourself to something special. Rotate your decks. Someone I know has a fairly large collection of different decks, and has a self-devised system that ensures he "rotates" through his decks, to give them all a chance of hitting the table. Many cardists tend to work with a rotational system of some kind. Not only does this help ensure that all of your decks get "air time", but it can help extend the life of certain decks that might otherwise get used constantly. Accept the inevitable. The bad news is that a deck of playing cards will wear out. Most playing cards are made out of paper, and paper wears when it gets used. It's just a fact of life, so you need to accept it. If you plan to use that beautiful deck of playing cards, whether for card magic or for playing card games, it is inevitable that your prized deck is eventually going to show signs of wear. There's a good reason that finding a century old deck of cards in pristine condition is a rare thing - not that we don't have many decks from that time period, but it's just that most decks that go the distance have been played and used, and you can tell at a quick glance that the cards look worn. The same will be true of your decks of playing cards - at least if you actually take the cards out of the box and actually use them. Not that a deck which shows signs of wear is cause for sadness or grief. A deck that is being used and enjoyed is a happy deck! So actually signs of wear are usually evidence that you are using a deck of playing cards for its intended purpose, and enjoying it for what it is - and that's often better than leaving it untouched in the fear that it might get hurt. By all means go ahead and use those decks! Retire the irrepairable. Magicians and cardists are known to use a brand new deck for each performance, and can often wear out a deck of playing cards quite quickly. Most of us will find that we won't go through decks at quite that level of frequency - especially if you keep the above tips in mind. But eventually a deck will have overstayed its welcome, and you know that it's time to put it into retirement when cards are sticking together, when fans turn into ugly and clumpy messes, when individual cards look dog-eared or bent, or perhaps when you've had spectators sign cards (which they've kept as a souvenir) and it's no longer complete. Enjoy the perishable. Playing cards are perishable, but don't let that stop you enjoying them. But hopefully if you keep some of these ideas in mind, you can make your decks last a little longer than they otherwise would. Who knows, perhaps someone will be admiring one of your decks a hundred years from now, silently thanking you for the good care you took of it. But more importantly, with a bit of loving care and attention, you can get extra enjoyment and mileage out of those playing cards already now! Ron313 and jcchessher like this. Dang dude, thanks for the advice! This is perfect!! Thanks a lot...appreciate you doing so much! Another great article from EnderGame! I really love the feel of cards on felt, have you ever found a neoprene play mat that has felt on it? I have an old poker table topper (plywood with felt) but the felt is starting to pill really badly, plus it is kind of heavy and bulky.